A symptom (from Greek σύμπτωμα, "accident, misfortune, that which befalls",  from συμπίπτω, "I befall", from συν- "together, with" and πίπτω, "I fall") is a departure from normal function or feeling which is apparent to a patient, reflecting the presence of an unusual state, or of a disease. A symptom can be subjective or objective. Tiredness is a subjective symptom whereas cough or fever are objective symptoms. In contrast to a symptom, a sign is a clue to a disease elicited by an examiner or a doctor. For example, paresthesia is a symptom (only the person experiencing it can directly observe their own tingling feeling), whereas erythema is a sign (anyone can confirm that the skin is redder than usual). Symptoms and signs are often nonspecific, but often combinations of them are at least suggestive of certain diagnoses, helping to narrow down what may be wrong. In other cases they are specific even to the point of being pathognomonic. Pathophysiology – a convergence of pathology with physiology – is the study of the disordered physiological processes that cause, result from, or are otherwise associated with a disease or injury. Pathology is the medical discipline that describes conditions typically observed during a disease state, whereas physiology is the biological discipline that describes processes or mechanisms operating within an organism. Pathology describes the abnormal or undesired condition, whereas pathophysiology seeks to explain the functional changes that are occurring within an individual due to a disease or pathologic state. In medicine, relapse or recidivism is a recurrence of a past condition. 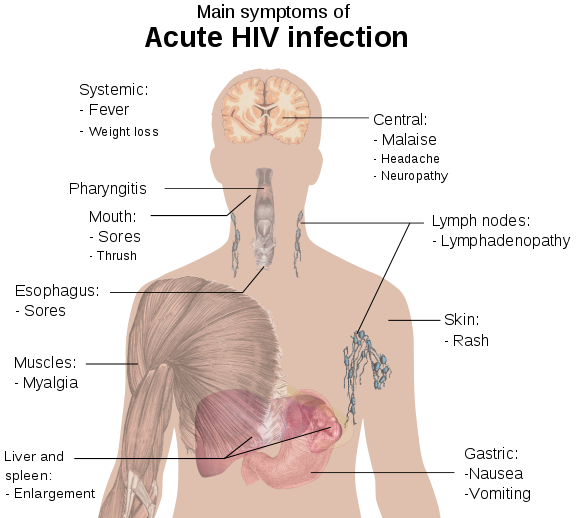 For example, multiple sclerosis and malaria often exhibit peaks of activity and sometimes long periods of dormancy, followed by relapse or recrudescence. Remission is either the reduction or abatement of the symptoms of a disease and the period during which this occurs. A partial remission may be defined for cancer as 50% or greater reduction in the measurable parameters of tumor growth as may be found on physical examination, radiologic study, or by biomarker levels from a blood or urine test. A complete remission is defined as complete disappearance of all such manifestations of disease. Each disease or even clinical trial can have its own definition of a partial remission. Diagnosis is the identification of the nature and cause of a certain phenomenon. 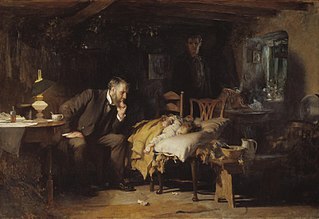 Doctor Diagnosis is used in many different disciplines with variations in the use of logic, analytics, and experience to determine "cause and effect". In systems engineering and computer science, it is typically used to determine the causes of symptoms, mitigations, and solutions. Paranoid schizophrenia is the most common type of schizophrenia. 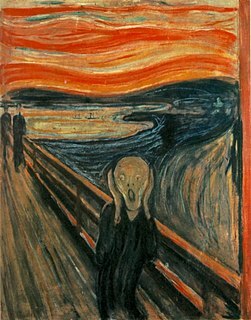 Schizophrenia is defined as “a chronic mental disorder in which a person loses touch with reality (psychosis)." Schizophrenia is divided into subtypes based on the “predominant symptomatology at the time of evaluation." The clinical picture is dominated by relatively stable and often persecutory delusions that are usually accompanied by hallucinations, particularly of the auditory variety, and perceptual disturbances. These symptoms can have a huge effect on functioning and can negatively affect quality of life. Paranoid schizophrenia is a lifelong disease, but with proper treatment, a person with the illness can attain a higher quality of life. Palpitations are the perceived abnormality of the heartbeat characterized by awareness of cardiac muscle contractions in the chest: hard, fast and/or irregular beats. It is both a symptom reported by the patient and a medical diagnosis. Palpitation can be associated with anxiety and does not necessarily indicate a structural or functional abnormality of the heart, but it can be a symptom arising from an objectively rapid or irregular heartbeat. Palpitation can be intermittent and of variable frequency and duration, or continuous. Associated symptoms include dizziness, shortness of breath, sweating, headaches and chest pain. The mental status examination or mental state examination (MSE) is an important part of the clinical assessment process in psychiatric practice. It is a structured way of observing and describing a patient's psychological functioning at a given point in time, under the domains of appearance, attitude, behavior, mood, and affect, speech, thought process, thought content, perception, cognition, insight, and judgment. There are some minor variations in the subdivision of the MSE and the sequence and names of MSE domains. An autoantibody is an antibody produced by the immune system that is directed against one or more of the individual's own proteins. Many autoimmune diseases are caused by such autoantibodies. Frontal lobe disorder is an impairment of the frontal lobe that occurs due to disease or head trauma. The frontal lobe of the brain plays a key role in higher mental functions such as motivation, planning, social behaviour, and speech production. A frontal lobe syndrome can be caused by a range of conditions including head trauma, tumours, degenerative diseases, neurosurgery and cerebrovascular disease. Frontal lobe impairment can be detected by recognition of typical clinical signs, use of simple screening tests, and specialist neurological testing. A neurological examination is the assessment of sensory neuron and motor responses, especially reflexes, to determine whether the nervous system is impaired. This typically includes a physical examination and a review of the patient's medical history, but not deeper investigation such as neuroimaging. It can be used both as a screening tool and as an investigative tool, the former of which when examining the patient when there is no expected neurological deficit and the latter of which when examining a patient where you do expect to find abnormalities. If a problem is found either in an investigative or screening process, then further tests can be carried out to focus on a particular aspect of the nervous system. An organic brain syndrome (OBS), also known as an organic brain disease/disorder (OBD), an organic mental syndrome (OMS), or an organic mental disorder (OMD), is a syndrome or disorder of mental function whose cause is alleged to be known as organic (physiologic) rather than purely of the mind. These names are older and nearly obsolete general terms from psychiatry, referring to many physical disorders that cause impaired mental function. They are meant to exclude psychiatric disorders. 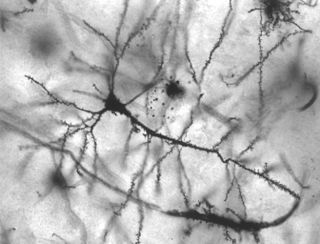 Originally, the term was created to distinguish physical causes of mental impairment from psychiatric disorders, but during the era when this distinction was drawn, not enough was known about brain science for this cause-based classification to be more than educated guesswork labeled with misplaced certainty, which is why it has been deemphasized in current medicine. Medical model is the term coined by psychiatrist R. D. Laing in his The Politics of the Family and Other Essays (1971), for the "set of procedures in which all doctors are trained". It includes complaint, history, physical examination, ancillary tests if needed, diagnosis, treatment, and prognosis with and without treatment. A functional symptom is a medical symptom, with no known physical cause. It arises from a problem in the ‘functioning’ of the nervous system, and not due to a structural or pathologically defined disease. Functional symptoms are increasingly viewed within a framework in which psychological, physiological and biological factors should be considered to be relevant. A psychiatric assessment, or psychological screening, is the process of gathering information about a person within a psychiatric service, with the purpose of making a diagnosis. The assessment is usually the first stage of a treatment process, but psychiatric assessments may also be used for various legal purposes. The assessment includes social and biographical information, direct observations, and data from specific psychological tests. It is typically carried out by a psychiatrist, but it can be a multi-disciplinary process involving nurses, psychologists, occupational therapist, social workers, and licensed professional counselors. 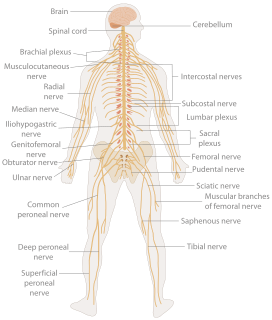 A neurological disorder is any disorder of the nervous system. Structural, biochemical or electrical abnormalities in the brain, spinal cord or other nerves can result in a range of symptoms. Examples of symptoms include paralysis, muscle weakness, poor coordination, loss of sensation, seizures, confusion, pain and altered levels of consciousness. There are many recognized neurological disorders, some relatively common, but many rare. They may be assessed by neurological examination, and studied and treated within the specialities of neurology and clinical neuropsychology. A somatic symptom disorder, formerly known as a somatoform disorder, is any mental disorder which manifests as physical symptoms that suggest illness or injury, but which cannot be explained fully by a general medical condition or by the direct effect of a substance, and are not attributable to another mental disorder. Somatic symptom disorders, as a group, are included in a number of diagnostic schemes of mental illness, including the Diagnostic and Statistical Manual of Mental Disorders. Vestibular rehabilitation (VR), also known as vestibular rehabilitation therapy (VRT) is a specialized form of physical therapy used to treat vestibular disorders or symptoms, characterized by dizziness, vertigo, and trouble with balance, posture, and vision. These primary symptoms can result in secondary symptoms such as nausea, fatigue, and lack of concentration. All symptoms of vestibular dysfunction can significantly decrease quality of life, introducing mental-emotional issues such as anxiety and depression, and greatly impair an individual, causing them to become more sedentary. Decreased mobility results in weaker muscles, less flexible joints, and worsened stamina, as well as decreased social and occupational activity. Vestibular rehabilitation therapy can be used in conjunction with cognitive behavioral therapy in order to reduce anxiety and depression resulting from an individual's change in lifestyle. 1 2 Understanding Psychosis Archived 2012-12-25 at the Wayback Machine , Mental Health Illness of Australia.